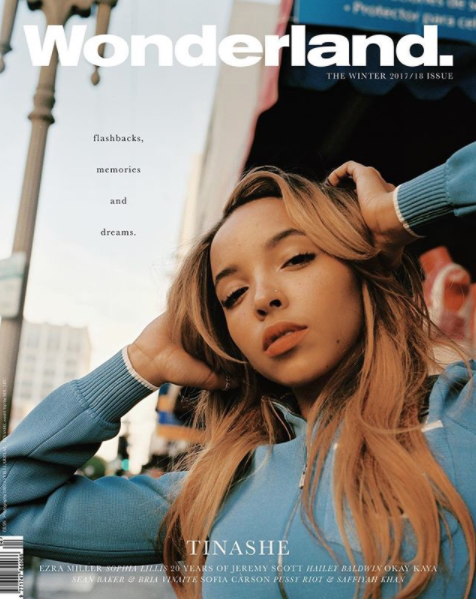 Known for her forward-thinking mix of R&B, pop and electronics, Tinashe has made a name for herself as one of the most exciting triple-threat entertainers in today's music landscape. Fresh off the heels of her critically-acclaimed 2016 mixtape Nightride, the 24-year-old is gearing up to release her sophomore studio album Joyride later this year. Tinashe first hit the scene with her fierce debut, Aquarias, which bowed in at #17 on the Billboard Top 200 and yielded a platinum #1 hit in the form of “2 On” featuring ScHoolboy Q – landing on multiple year-end lists from Pitchfork, Rolling Stone, Cosmopolitan, Stereogum, The Guardian, Vulture, and so many more. She has covered magazines such as Complex, V, Dazed, and most recently Nylon in between performing on The Tonight Show Starring Jimmy Fallon, Conan, and Jimmy Kimmel LIVE! Simultaneously, her influence permeates pop culture and fashion at large, appearing in a Ralph Lauren campaign alongside Bella Hadid and Hailey Baldwin, performing exclusively for Karl Lagerfeld, partnering with Alexander Wang, Calvin Klein, M.A.C. Cosmetics or more recently her revival of Juicy Cuture – an exclusive campaign with Urban Outfitters. With her new album at the helm, Tinashe is proving that she is "her generation's most fearless R&B icon," (Dazed) creating a movement that fuses 20th century pop ambition with an eclectic approach that’s unimpeachably modern.